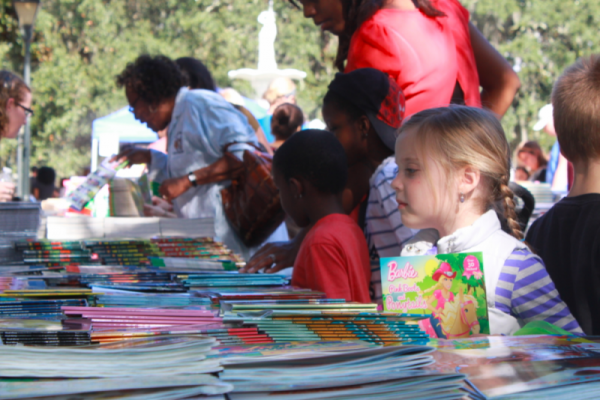 The 11th annual Savannah Children’s Book Festival starts this weekend on Saturday, November 15th. 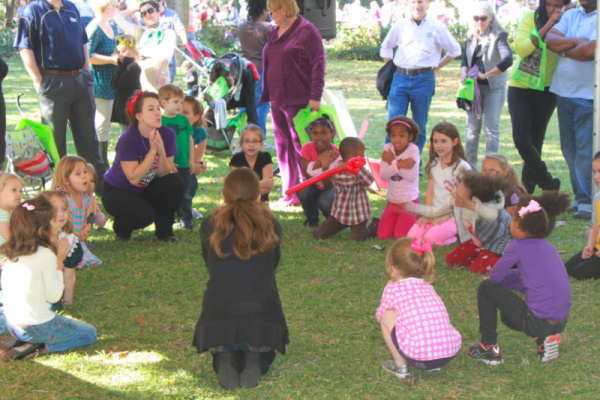 Hosted each year by Live Oak Public Libraries and the City of Savannah’s Department of Cultural Affairs, the festival will take place in the beautiful Forsyth park from 10 a.m. to 4 p.m. This event is all about encouraging reading in children, the importance of the written word, and the magic of storytelling. 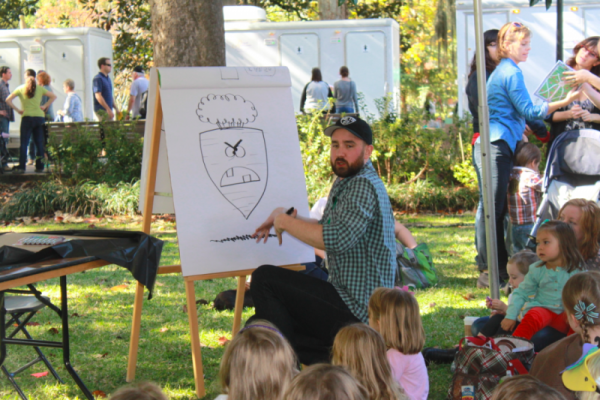 Allowing Savannah to become a destination for over 50 award-winning children’s book authors and illustrators from all over doesn’t hurt either! The event is completely free and open to the public, and will also include arts and crafts, an International Tent, costumed characters, a graphic/comics area, food and entertainment, as well as a book walk among the trees for families to read together from one page to the next throughout the park. The The 2014 lineup of authors and illustrators includes Lois Lowry (“The Giver”), Tedd Arnold (“Fly Guy”), Rosemary Wells (“Max and Ruby”), Bob Staake (“The First Pup: The Real Story of How Bo Got to the White House”), David Ezra Stein (“Interrupting Chicken”), Bruce Degen (“Magic School Bus”), Bob Shea (“Dinosaur vs. Bedtime), Kevin O’Malley (“Captain Raptor and the Space Pirates”), Carin Berger (“A Perfect Day”), Ted Dunagan (“A Yellow Watermelon”), Meaghan Fisher (“I Love Ladybugs”), and Kelly Starling Lyons (“Tea Cakes for Tosh”). The whole SCBF program can be found here. For more information, call 912-652-3600.